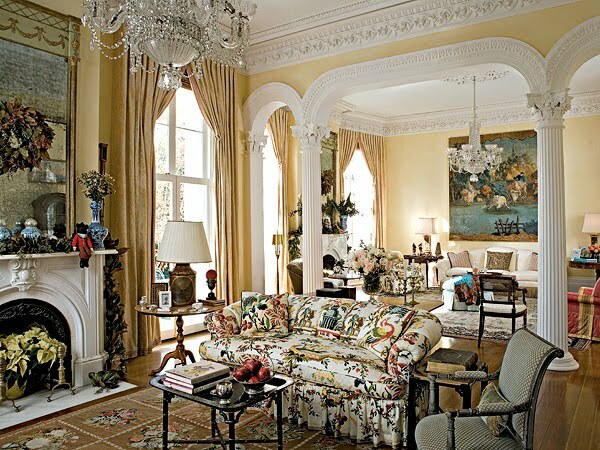 Yellow glazed walls brighten the double parlor, where columns define the two seating areas. 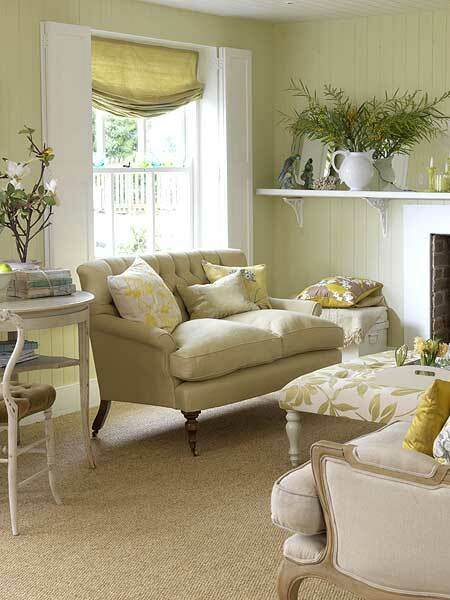 An impressive collection of antiques and fabrics in a rainbow of colors keep this living room from feeling too stale. Feature a classic design in a fresh way with the added dimension of an accent wall. 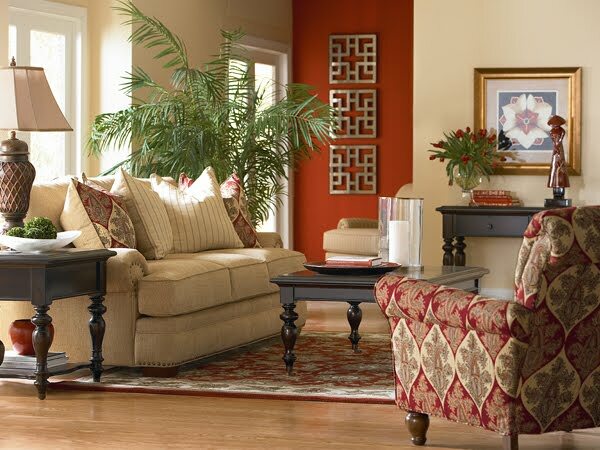 Fiery orange gives this living room an autumn glow, while highlighting the rich upholstery and regal details. For this old-world library, Minton let his choice of Persian rugs drive the warm color palette of reds, golds, and greens. 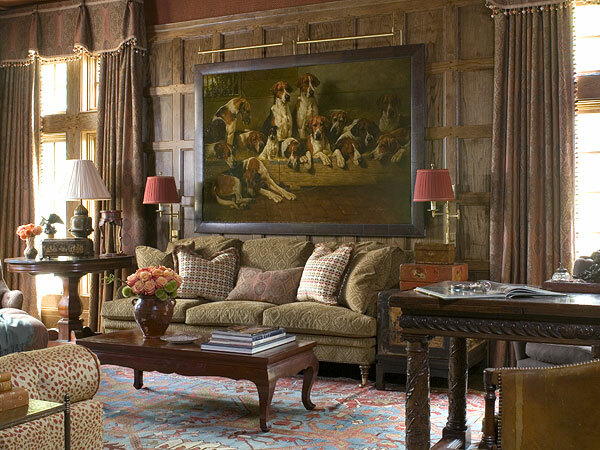 Here, the blend of patterns and wood-paneled walls create an environment that seems destined for relaxing with a scotch or glass of wine. Spice up an all-white den with tangerine accents. A Moroccan floor cushion and cozy throw blanket become statement pieces in this simple, symmetrical living room. 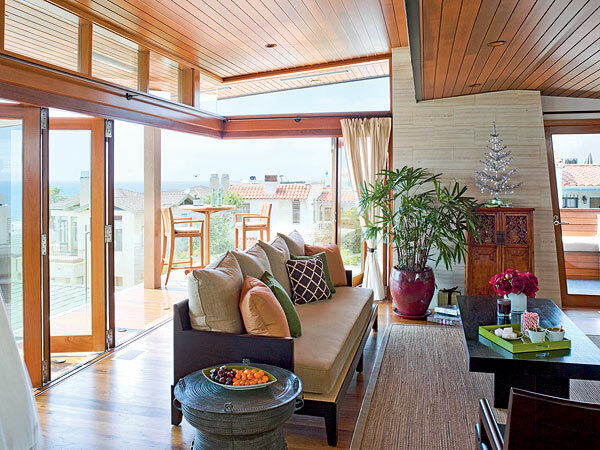 Clean, modern lines and exotic accessories give this living room a Bali-inspired, open-air vibe.